So it was cloudy all day today but no rain so far. We do still need more but I wish it wouldn't all come at once. Beggars shouldn't be choosy though I guess. :-) This is an image from last summer. 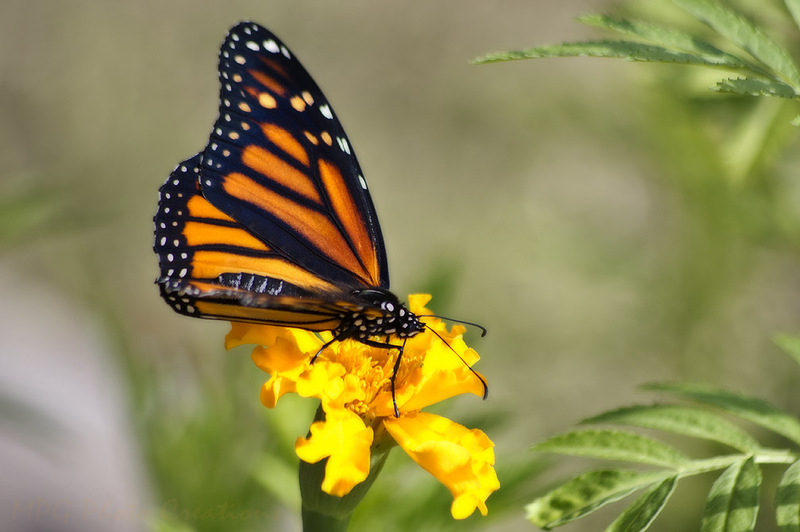 A lovely Monarch came by late in the season and was feeding from a Marigold. 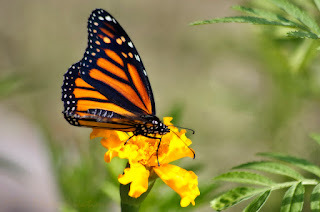 I hope to see these lovely butterflies this year and have been planting things to attract them. We shall see.